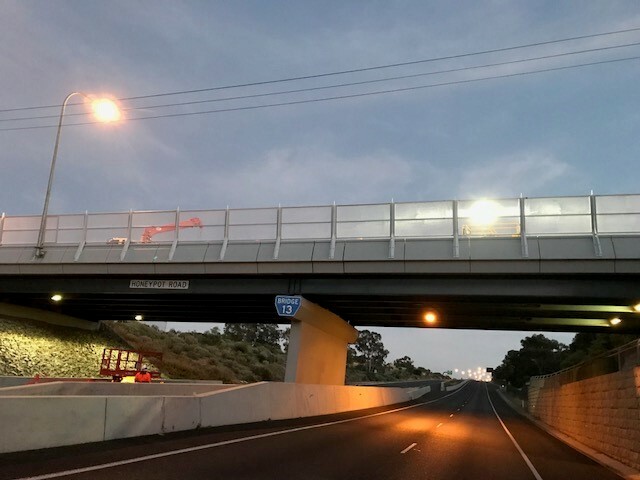 The lowered motorway constructed as part of the $801 million Torrens Road to River Torrens Project Torrens will be opened to traffic on Saturday 29 September. The Department of Planning, Transport and Infrastructure (DPTI) will be improving safety and traffic flow at the junction of McIntyre Road and The Golden Way, Wynn Vale, by installing an additional right turn lane from The Golden Way into McIntyre Road. The Department of Planning, Transport and Infrastructure (DPTI) will be improving safety at the junction of Swanport Road, Bridge Street and Mannum Road, Murray Bridge by widening the intersection for vehicles turning in and out of Bridge Street. The Department of Planning, Transport and Infrastructure (DPTI) will be improving safety and traffic flow on Montague Road at the Port Wakefield Road intersection with Churchill Road North at Cavan. The Department of Planning, Transport and Infrastructure (DPTI) will commence night works on Sunday, 18 March 2018, to upgrade the intersection of Anzac Highway, Brighton Road and Tapleys Hill Road. The Department of Planning, Transport and Infrastructure (DPTI) will commence road works tomorrow to upgrade the intersection of Riddoch Highway (Penola Road) and Wandilo Forest Road-Ridge Road in the State’s south east. Works to improve safety with the installation of a ‘No Stopping Zone’ are now complete at the junction of Bower Road and Sansom Road, Semaphore Park. Safety on Angas Valley Road will soon be improved with shoulder sealing works commencing Monday, 26 February 2018. The Department of Planning, Transport and Infrastructure (DPTI) advises motorists that works have begun on the construction of three new overtaking lanes on the Lincoln, Eyre and Augusta Highways. The Department of Planning, Transport and Infrastructure (DPTI) will be improving safety at the Stott Highway intersection with Ridley Road and Halfway House Road, Sedan. As part of the $896 million Torrens Road to River Torrens Project, pavement and asphalt reinstatement works will occur at the South Road intersection with Manton Street from 7pm Friday 8 September to 6am Monday 11 September 2017, weather permitting. Safety will soon be improved at the Angle Vale Road intersection with Curtis Road and McGee Road at Penfield Gardens. Safety on country roads is set to be improved with resealing works and safety barrier installation. Nine rural black spots will be upgraded as part of a $10.4 million investment in rural road safety. We have launched our new online Road Works Schedule to provide the community with a forward view of upcoming Departmental road works and traffic restrictions on the arterial road network across the State. Works to improve road safety at the Dukes Highway junction with the Princes Highway just south of Tailem Bend are currently underway. Works to improve road safety at the Dukes Highway junction with the Princes Highway just south of Tailem Bend is currently underway. Safety will soon be improved at the intersection of One Tree Hill Road and Kersbrook Road at Humbug Scrub with works to begin on a new roundabout. Safety upgrades on the Noarlunga to Victor Harbor Road will start next Tuesday, 6 October. More than $400,000 is being spent improving safety on the Limestone Coast with resurfacing works scheduled to start on six road sections. LED lighting to improve safety on the Augusta Hwy at two Snowtown junctions. Improved road surface quality and safety on Victor Harbor Road. Right-turn lanes at North East Rd and Grand Junction Rd are being upgraded. Works have commenced on Fowlers Bay Road between Eyre Highway and Fowlers Bay Township to improve safety for motorists. Safety for road users on the Mannum Road will soon be improved with resurfacing works starting on Thursday 16 April. Safety for road users on the Mannum Road will soon be improved with resurfacing works commencing from Thursday, 16 April 2015. Motorists travelling from the Yorke Peninsula may experience delays this Easter Monday 6 April, due to the large volume of holiday traffic through Port Wakefield. Works on a $1.2 million Strzelecki Track upgrade have now commenced, delivering vital safety upgrades near Lyndhurst in South Australia. Safety for road users on the Stott Highway will soon be improved with resurfacing works commencing from Thursday, 19 March 2015. The commencement of a $1.6 million project to construct a Bicycle Boulevard along Beulah Road and upgrade bicycle lanes on Rundle Street, Kent Town will improve safety for cyclists. The Department of Planning, Transport and Infrastructure wish to advise that minor works have started on Main North Road near the intersection with Midway Road and Woodford Road at Elizabeth Downs. Give your feedback on a proposal to improve safety for all road users. Works at Noarlunga-Victor Harbor Rd junction with Meadows-Willunga Rd will improve safety. Three black spots in the Fleurieu, Murray-Mallee and Adelaide Hills are targeted. A $2.8m road upgrade will boost safety in the Fleurieu, Riverland and Murray-Mallee. Local councils across South Australia have been awarded funding for a range of road safety improvements and upgrades. Major construction works have started today on an upgrade to the Augusta Highway near Mambray Creek. Construction is to start on Greenhill Road safety improvements with upgrades between Goodwood Road and George Street/Hutt Road. Safety is to be improved along Bay Road between Percy Street and Railway Terrace, Mount Gambier, starting on Saturday 14 February. Works are to start on a safety upgrade of access to the Clare Valley aerodrome. An upgrade is under way to improve safety at one of South Australia’s busiest intersections. An upgrade of a major rural road connecting the upper Yorke Peninsula towns of Bute and Kulpara has begun. Asphalt and road resurfacing works have started on a number of roads in the State’s mid-north. Essential safety works on Gorge Road between Torrens Hill Rd and Corkscrew Rd will be carried out from 27 January until the end of February 2015. Safety along the Sturt Highway to be improved with road widening from 19 January. A raised junction platform at Rundle St and The Parade West will greatly improve safety. More than 17 km of Limestone Coast roads will be resurfaced starting 12 January. Upgrades to right-turn lanes will be made at several key intersections across metropolitan Adelaide. Safety improvements to the Sturt Highway are currently underway. A major safety upgrade on the Augusta Highway has started. A safety upgrade to the Findon Road and Trimmer Parade intersection has started. Maintenance works to improve the Sturt Highway surface quality start on 20 October. Shoulder sealing and safety barrier works on the Freeway start 13 October. Audio-tactile line marking on the Stuart Hwy between Pt Augusta and Marla is complete. Works on the South Eastern Fwy, Mallee Hwy and the Fleurieu begin this weekend. Two new wombat crossings improve pedestrian safety on Mount Barker Rd. Three intersections in the Adelaide Hills will be upgraded, including the busy Onkaparinga Valley Road intersection, as part of the road safety infrastructure program. A range of intersection upgrades and motorcycle safety improvements will take place in the Adelaide Hills over the next two years. Wire Rope Safety Barriers (WRSB) with the potential to stop road crashes have been installed on Main North Road. Black spots across South Australia will be upgraded as part of a range of road safety improvements. Four new point-to-point speed cameras will be operating on South Australia’s highways from Monday 14 July. Road shoulders on the Barrier Highway are to be widened for better safety. Works to improve the road surface start on 11 June. Works on to improve the surface quality of the road start 8 June. Works to improve road surfaces on the Limestone Coast start on 1 June.